Progheads of a certain age will be familiar with these guys. 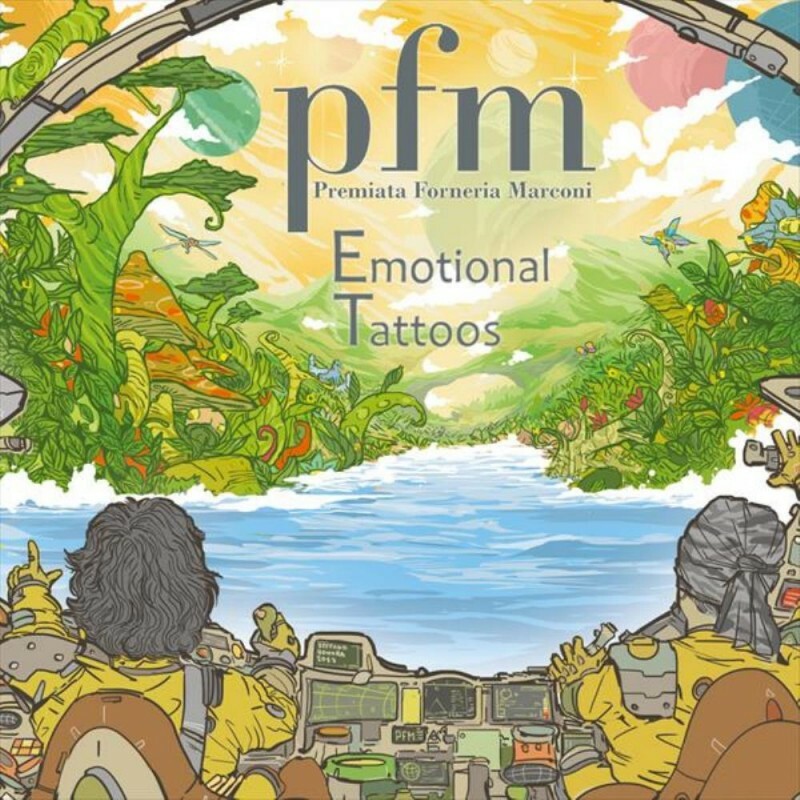 PFM, or Premiata Forneria Marconi to give them their full title, came out of Italy back in the seventies and were at one point signed to Emerson, Lake & Palmer's label Manticore, which was a real seal of approval for the band and helped them to achieve an international breakthrough with albums such as 'Photos Of Ghosts' and 'L'isola Di Niente'. Throughout the intervening years, the band have steadily released albums without ever really reaching the peak of their early seventies successes. This album is being released as a double offering with one disc sung in their native Italian and the other in English. This review will focus on just the English disc as my Italian is not what it should be! In their long and illustrious past, PFM have dabbled with various forms of music ranging from Jazz through to a more (relatively) straightforward style of Prog. This new album is their first for the prestigious Prog label InsideOut so all the signs were positive for these Italian Prog giants. Therefore, when I actually came to listen to this latest album, it was somewhat of a surprise to find that it's pretty much an out and out Melodic Rock album... and a very palatable one it is too. Opener 'We're Not An Island' starts off in a languid, mellow mood, but quickly embraces a more uplifting tempo with some stirring keyboard work. Much the same can be said for most of the rest of the album. Keyboards tend to dominate proceedings but that's no bad thing. The band have even taken to incorporating other influences and I can detect a certain Irish flavour to tracks like 'A Day We Share' and 'Central District'. Overall, PFM have produced a really good and consistent album with this offering. The Prog influences are still there of course, but they are generally kept in check by the aforementioned melodic approach. The instrumentation is all well played and the arrangements are always fresh and vibrant, even the vocals (which have always been somewhat of a stumbling block for the band) are handled nicely too. If you're looking for names of other bands that are working this particular avenue, then I would say World Trade and also Styx in places, neither of them being overtly Prog but they are also both very melodic. In summation, this is a very welcome return to the musical fray from a band long associated with quality Rock music. I would say this is one of the better albums that has hit my CD player in the past twelve months.